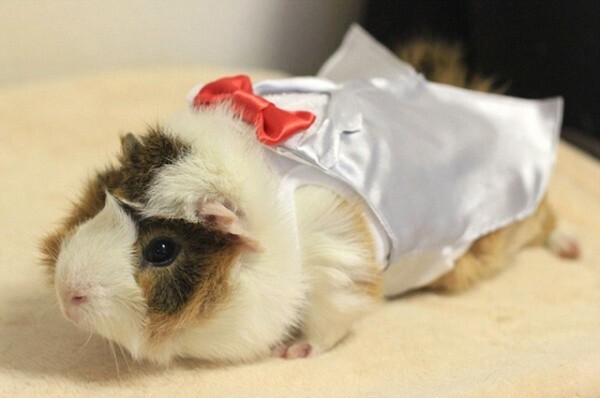 Some pet owners love to humanize their pets by dressing them up in human clothes and accessories. 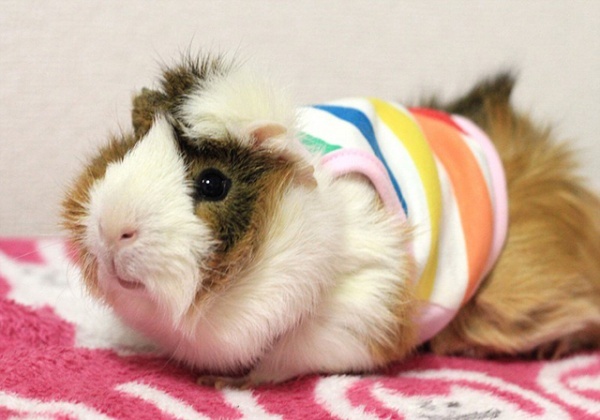 From dogs to cats to rodents to reptiles – whatever pet you’ve got, someone out there has probably made clothes for them. 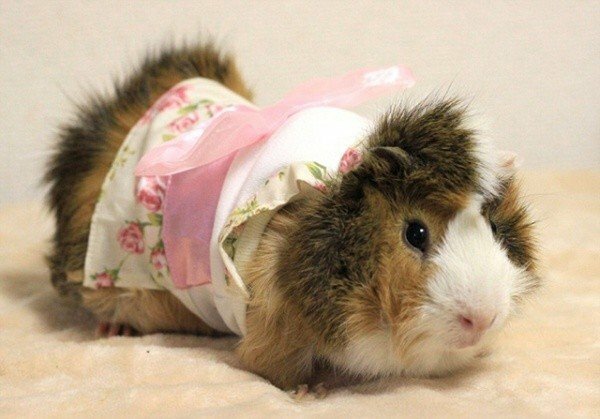 The latest animal to get the couture treatment is the guinea pig. 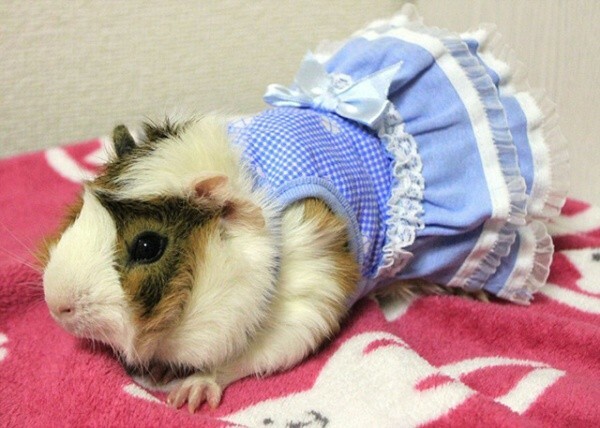 Guinea Pig Fashion is a store created by Japanese designer Maki Yamada. 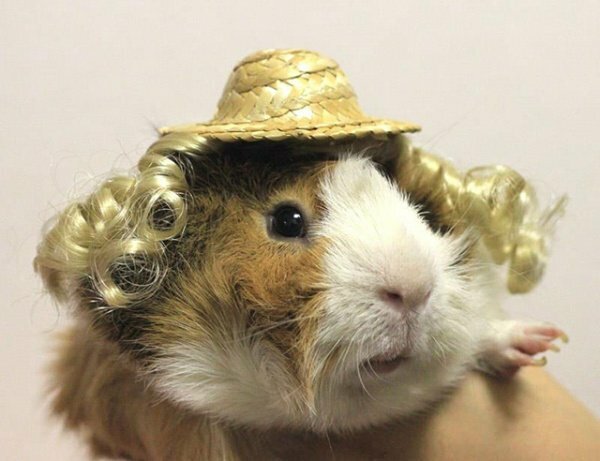 As the name clearly implies, it’s a shop that’s dedicated to providing guinea pig owners with fashionable wares for their fuzzy pets. 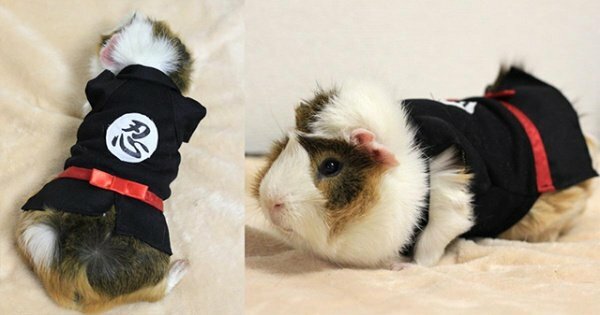 In stock are ninja costumes, tank tops, kimonos, and frilly dresses. 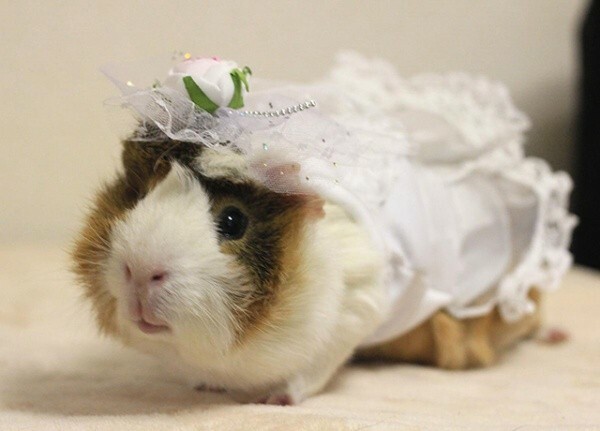 You can even hold your own guinea pig wedding since Maki’s store has tiny wedding dresses and tuxes.